Ultra Music Festival has announced a 5 part payment plan for their outrageously priced $500 (after fees) tickets, a price that left many fans angered. With this payment plan, fans will have the option to pay in 5 installments of $98.85 instead of shelling out $500 all at once. In 2014, Ultra Music Festival promises “a new level” and “a new experience”, for the price they are charging for tickets it better be. All that being said there is no denying that, despite being insanely expensive, Ultra Music Festival is one of the premiere electronic music festivals in the country. If you have the $500 to shell out and are set on heading to UMF in March you can head over to the ticket site HERE. 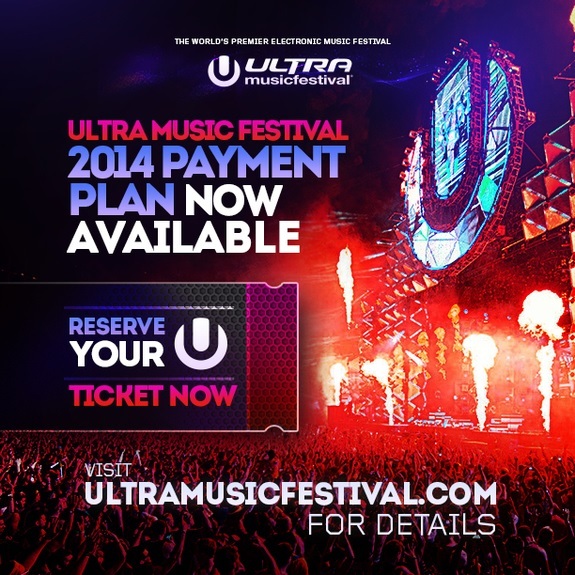 The post Ultra Tries to Mask High Ticket Prices with Payment Plan appeared first on Your EDM. Learn To Make Fried Chicken with RUSKO!